Niki Lauda’s recovery from a lung transplant continues with the triple World Champion able to leave intensive care, but he first needs to regain some strength. Lauda fell ill earlier this year with reports initially stating he suffered “severe” flu while holidaying in Ibiza. He returned home and later it emerged that he had undergone a successful lung transplant at Vienna’s general hospital. According to Osterreich, his recovery is progressing with the Austrian has even permitted to leave the intensive care unit for brief periods and go outside. “Niki is already making great progress,” revealed a friend. He should be able to leave the hospital in the coming weeks but will head to a rehabilitation facility. “In one sense, his recovery has progressed so that Lauda can already leave the hospital,” read the Osterreich report. 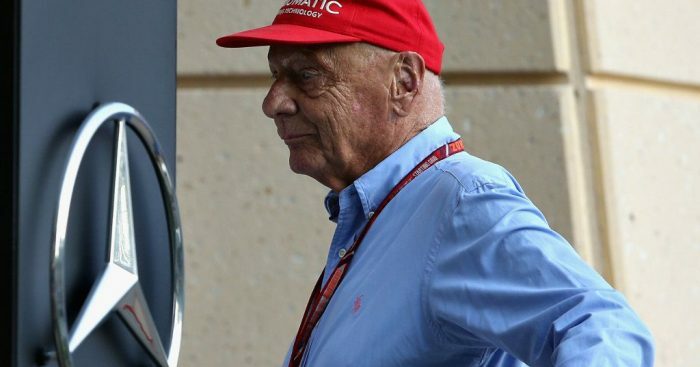 Lauda, a non-executive director at Mercedes, has not been present in the Formula 1 paddock since July’s British GP and is unlikely to make an appearance before the end of this season.